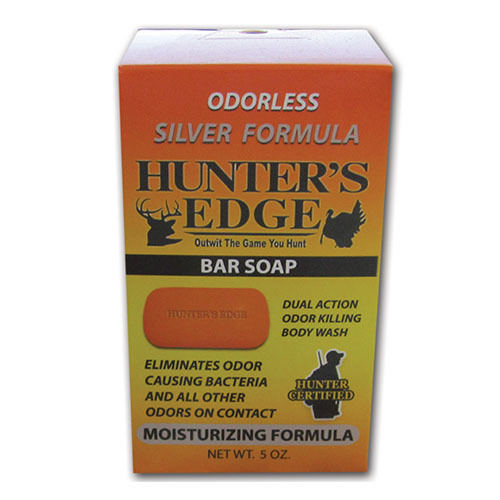 Hunter’s Edge HAIR & BODY WASH with SILVER is a dual action product. 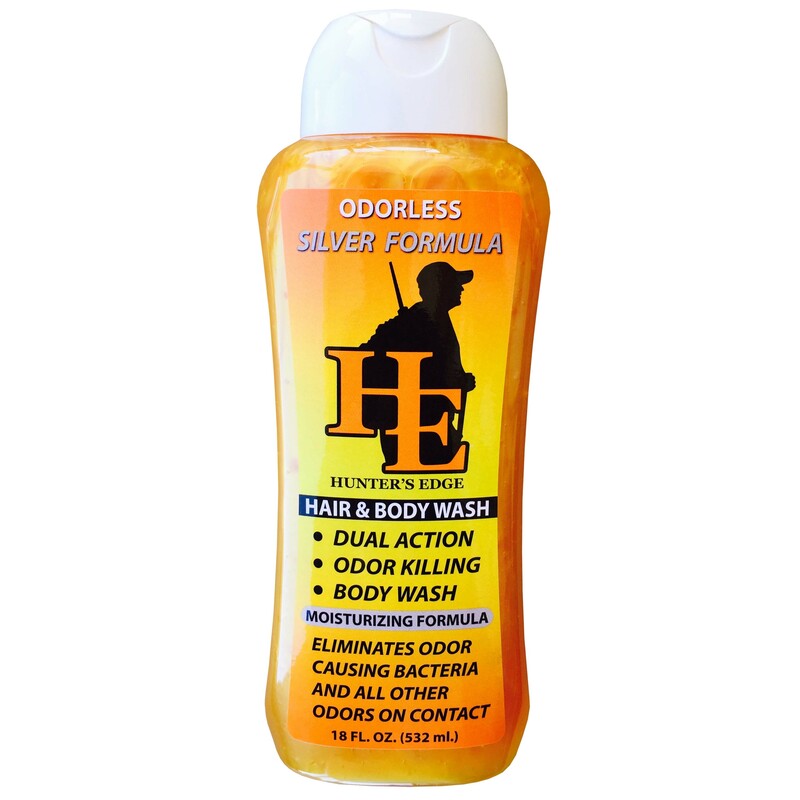 Our base formula destroys human scent, smoke, gasoline, and food odors upon contact. Then we use patented silver particles to destroy bacteria on the surface of the skin. 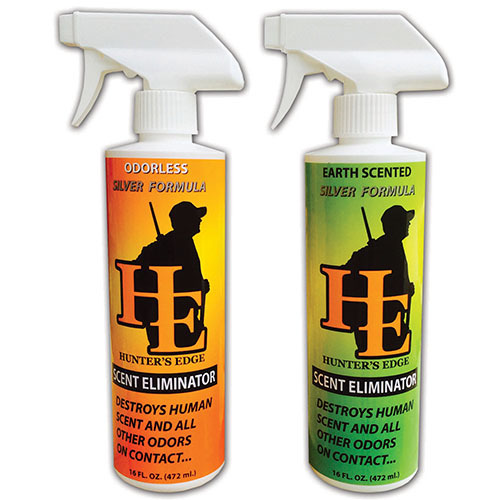 These particles prevent odor-causing molecules from forming into a gas, which produces human scent. 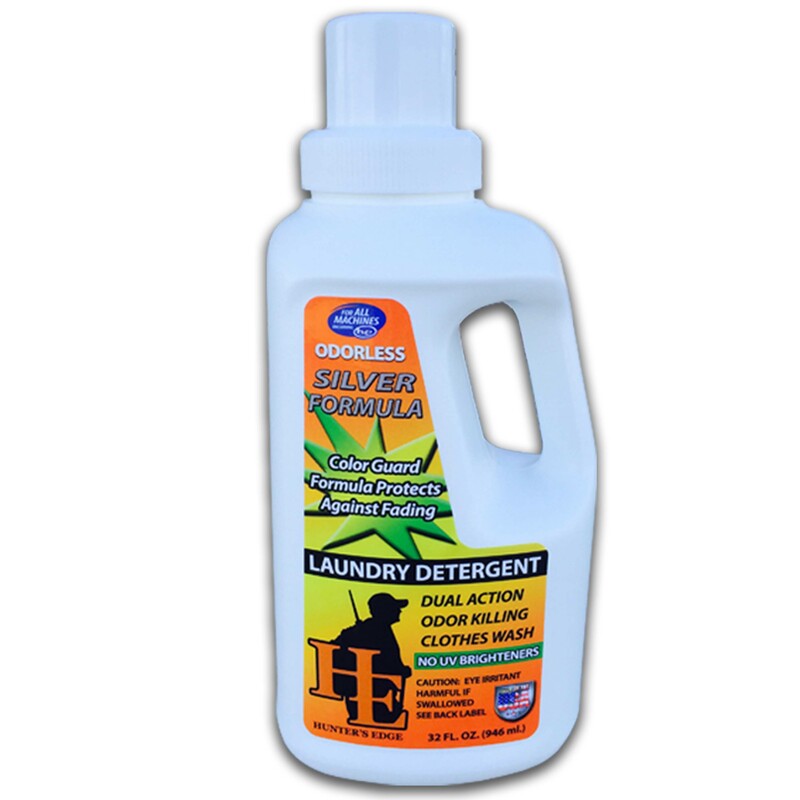 Our formula will kill odors for up to 24 hours.